Ocean Polymers, a British recycling technology company, has announced its commitment to develop partnerships with companies which invest in technology and recycling infrastructure to advance the circular economy within the Arabian Peninsula and a commitment to prevent plastic waste products from degrading and leaking into the ocean. The global plastic recycling market, which was valued at US$31.5 bn in 2015 is expected to reach a figure of US$56.8 bn by 2024. During the forecast period of 2016 and 2024, the global market is expected to progress at a CAGR of 6.9%. The company state that each machine when fully operational will pay back the associated capital expenditure within less than two years. Ocean Polymers are in discussions with several international Angel Funds and Foundations to secure capital investment and financing of the unique ship and land-based systems used to collect plastic waste; especially in areas thought previously to be inaccessible or of limited economic value. Whilst the precise details of the system and process are confidential between the company and its working partners, the plasma technology used is a combination of the best of existing engineering from North America and Europe. A similar methodology for waste processing is currently employed by both the U.S. Navy and U.S. Air Force. What makes Ocean Polymers approach unique is in their system. The hydrogen and valuable bi-products which are collected and stored to be sold back to the global market thereby creating a closed loop energy model. This the company claim will be a first within the region. The company’s scientific team from Imperial College London assert this solution is an immediate answer to stemming the tide of waste within the Arabian Peninsula. The team have stated that an investment in waste management is not only an investment to help solve the waste and ocean plastic crisis now but a critical requirement for the future. Ocean Polymers aim to be a driver of the circular economy with their vision of a world where waste is seen as a value commodity to be collected and processed not dumped in landfill. With the growing economies across the Middle East comes increased demand for more consumer-packaged goods but unfortunately the development of waste management infrastructure has not kept pace with the increased amount of waste that is being generated. 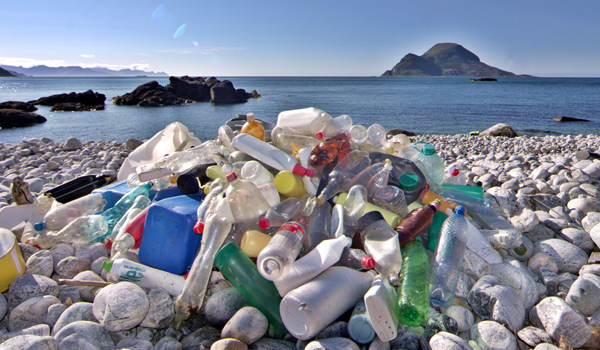 Ocean Polymers intends to bridge that gap with the goal of keeping all waste out of the ocean.